This world will never free from a crisis such as the economic crisis, social, politic, energy, and so on. Some part, the impact directly felt in the society particularly related with the economic issues. When the world got crisis, cannot deny that many God’s child got the impact as well. Whatever the professions they are also experiencing the price escalation in the market. The Christian employer would experience lost of job, the Christian entrepreneur could get turnover derivation, or even bankrupted and lost their asset. As long as living in this world, there is no one will invulnerable with the problems. But whatever happened we do believe Jesus is God who in control over the world. There is nothing happens without His consent, as well as our life. There will be two reactions came out when God’s children got the crisis. Disappointed to God or not, complaining or be grateful, be apathetic or continue to believe and put hope in God, away from God or even love God more, spiritless to serve God because they felt that serving God was useless or even more viable, as well as a variety reactions that reflect two contrary heart condition: BITTER or SWEET. In the normal situation, moreover when living in abundance and everything was going okay, it is so easy to be grateful and praising the Lord: “God, You are so good. Thank you. I really love you. You are amazing for me. I believe in You.” However, if in the opposite condition our heart really being tested! Whether the reaction that came out will be still sweet or our heart changed to be bitter. Thing like this is cannot be made up. Bitter or sweet are responses that came out from the deepest of our heart and refined by sorrow. Such as a foundation sturdiness of a building tested by shocks, as well as a human heart. When all the form of pleasure, position, luxuries, amenities, pride, and everything that gives comfort to the body and soul suddenly shaken or permitted by God to be taken from our lives, in fact would be appear on what foundation we build our lives. If the foundation is in Christ we will remain firm but if we put the sense of secure and happiness on the comfort of living, then when the economic crisis hit us and everything didn’t go as good as usual our faith will shaken. Not only equip with possessions, God also always maintain that they do not hunger and thirst even in the desert. Their food is always fresh every day and the water came out from the rock of Horeb (Exodus 17:6). God provides everything the Israelites’ needs. “And I have led you forty years in the wilderness. Your clothes have not worn out on you, and your sandals have not worn out on your feet.” (Deuteronomy 29:5 NKJV) God protect and preserve them perfectly. It turns out this wasn’t enough for the Israelites. They were always reacting bitterly when every time faced inconvenience. Angry and complain. This was a daily thing that faced by Moses since the first step he leads Israelites out from Egypt. When Moses took Israelites out of Egypt, the Israelites voluntarily followed Moses because they knew that they will go to the Promise Land which is abound with milk and honey, the place where they will live as free men and living in abundance. But, when in the journey they facing the difficulties they began to fall. Several times they fell into the idolatry and rebellion against God. They just saw all the hardships that they go through on the way without remembering and are grateful of the deeds and goodness of God. In fact, they did not honor the God who has been with them, as if the Lord’s presence alone is not enough! What about the humans today? The modern humans may not make statues and worship it but many people adore luxuries, position, fame, and so on. Even many Christians lost their faith when they lose their wealth or anything they think is worth. A friend of mine had left the Lord just because a mate who requested never comes. Other brethren in Christ didn’t want to worship God because his wife who prayed not healed but instead called by God to return to the Father’s house. Another person still attended the church but his faith is not pure anymore because he had gone to particular idolatry place to get the wealth. It was so sad to hear all of it. Actually what we are looking for in this world? What is most precious to us? Is CHRIST ALONE enough for us or the CHRIST PLUS: Christ plus His blessing, Christ plus His miracles, etc? What if that there is no “PLUS”? Is our faith will remain firm as Habakkuk? I know that writing about this thing is much easier than live it. Currently I am facing the problems and waiting for the Father’s help. I really do not even know when exactly the help will come. I have to be patient and still rejoice in the Lord. It is so easy to say but not so easy to run it. But I am really sure the help will surely come. I can only pray and trying to live more earnestly and persevere in hope while do my part faithfully. 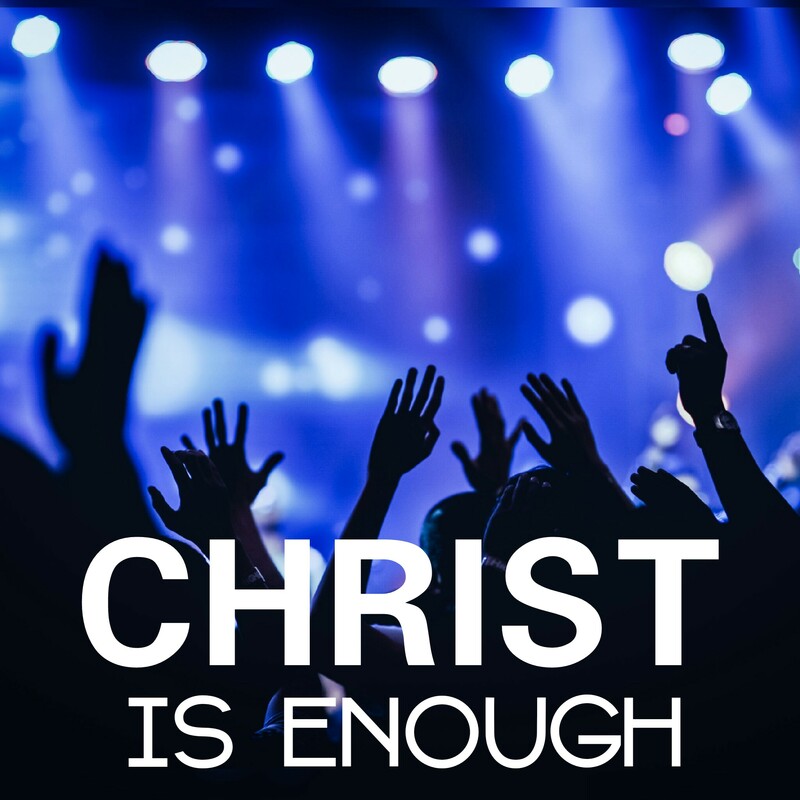 Whether the Christ that we have is more than enough? Or we have the heart to trade Him with the pleasures we desire? The world is not our last port. Our true destination is Heaven. Our true goal is Heaven. Life in this world is only a journey that must be traversed before reaching the eternity. Our focus is supposed to the Heaven but often our energy and attention taken up only to take care of the entire dynamic in this journey. It is so sad much faith of God’s children fall when encountering the problems in the journey then decided to leave God. Maybe this time you are in trouble too. Let’s together strengthen our faith and hope in God. God’s promises are “Yes and Amen”. God will surely help us and His help even more intense and powerful than we expected. I strongly believe that it will be happens to you too! Just believe! Don’t allow the problems in this mortal world rob our eternal inheritance. We have been called and chosen by Him. Is not that special?! Don’t waste it. Come my brother and sister in Christ, we may not see each other in this world. But if we are remains faithful to the end, we will meet in our eternal home, in Heaven, along with an eternal inheritance of our glorious Christ. Amen. Christ is enough for me, Christ is enough for me. No turning back… No turning back!!! Note: Thank you very much for reading this article. 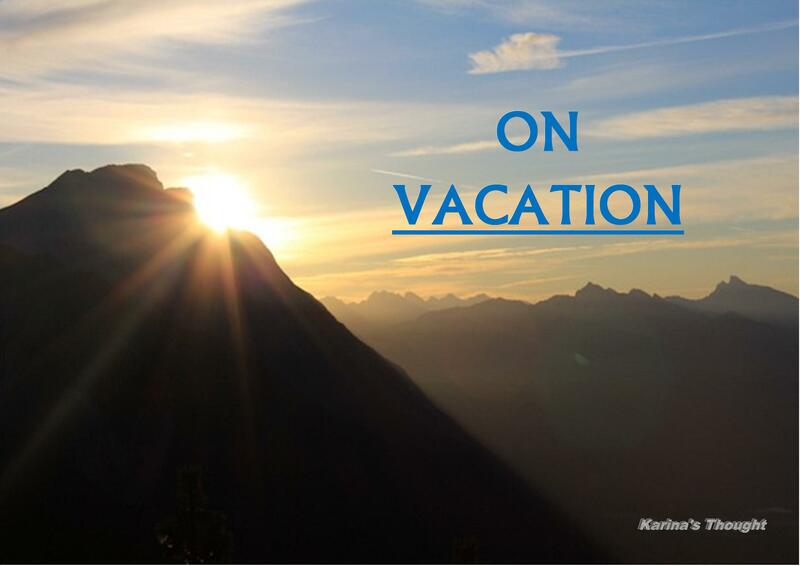 All comments will be replied immediately by Karina after she goes back from her vacation. Jesus blesses you. Hello my dear readers, this evening I would like to tell that for a while I will not active do blogging as usual. I give thanks to God almighty for His great mercy and blessings, tomorrow I and family will going on vacation to Europe for one month. So I am so sorry could not visit and reading your blog and also if any comment on my posts I could not immediately reply it. I promise will reply it all after I go back from our vacation next month. However, my guest post on every fourth weeks will still on schedule. My beloved friends, I will miss your great and wonderful posts. Thank you and happy blogging! Much love and blessing to all of you.